A pocket sprung 3' mattress with a cooling layer of memory foam. Exquisite style & chic design go with traditional pocket springs, luxury fabrics & plush fillings in The Respa Harmony 2000 Pocket 3' Mattress. A foam encapsulated mattress containing an upholstered layer of Respa Coolcell foam for temperature regulation control. The Respa Harmony 2000 Pocket Mattress is available to order in 3'(190x90 cm), 4'(190x120 cm), 4' 6"(190x135 cm), 5'(200x150 cm) or 6'(200x180 cm) sizes. If you require old mattress removal, please select the appropriate check box. 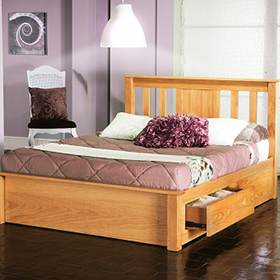 Respa Harmony 2000 Divan Bed also available to order.